The oil market experienced turbulence on Tuesday after Iran and global powers reached an historic deal that would remove sanctions in exchange for curbs on Tehran's nuclear program. Sanctions have long restricted Iran's oil production and exports, and the country is eager to regain its status as a global energy power. Crude prices initially fell by as much as 2.3% to $50.98 a barrel as investors reacted to the freshly-inked deal. However, oil bounced off those levels as investors weighed the details of the agreement and whether or not it will overcome deep skepticism in Congress. By the end of the day, oil settled 1.6% higher at $53.04 a barrel. Still, experts have warned that the deal could lead to a flood of new oil supply from Iran -- the country has 30 million of barrels of crude in storage and ready for sale, according to FACTS Global Energy, an industry consultancy. "Tehran has made clear its intention to lift exports as soon as the ink dries on an accord," the International Energy Agency wrote in a July 10 report, before the deal was struck. "The bottom of the market may still be ahead." 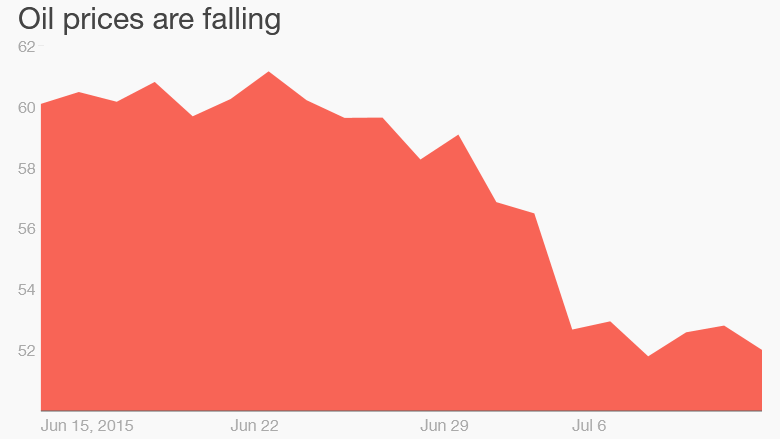 Oil prices were already falling as a final deal neared, dropping to their lowest point in almost three months in early July. Commodities markets were also pressured by financial turmoil in Greece and China. 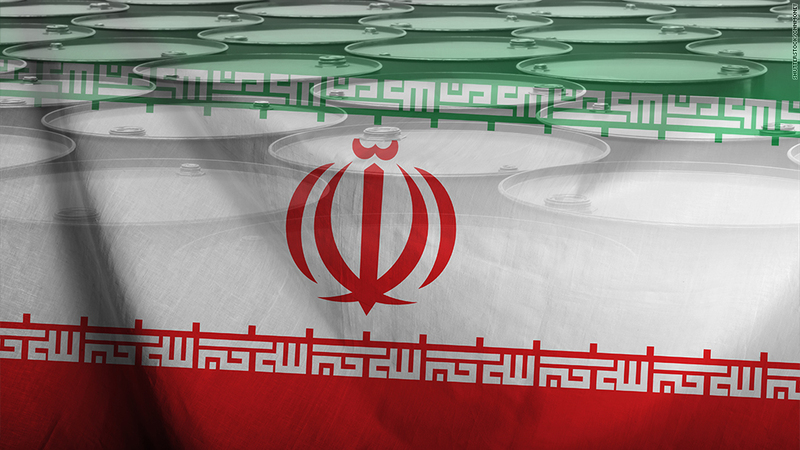 The deal could again make Iran an attractive place for foreign investment by international oil and gas giants like Royal Dutch Shell (RDSA) and France's Total, who were previously barred under sanctions. Iran and the West reached a framework for a deal in April, though a deadline for a full agreement was extended a handful of times. An official announcement is expected to be issued by Iran and the European Union after a final meeting between Iran, the U.S. and other nations involved.